I’m taking a small diversion from the Fragrant blend along to make up “Alchemy,” the alcohol-based perfume from Mandy Aftel’s earlier book, Essence & Alchemy. Mixing it up and bottling it is extremely straightforward. You just need a small glass beaker for mixing, a stirring rod, a bottle to store it in, and a funnel to transfer it. I’ve aged it about a week, and it smells a bit like cream soda from all that vanilla and benzoin. The trace amounts of labdanum add depth and pique the interest, without giving off an overtly leathery note. I look forward to adding the heart and top notes to see how it evolves. 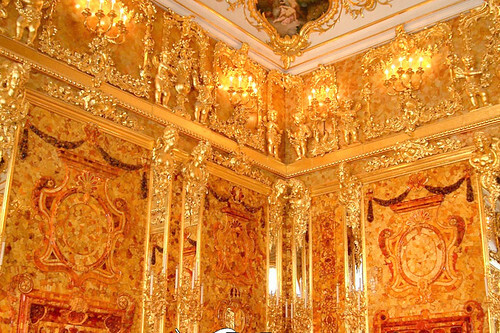 The restored Amber Room at Catherine I of Russia’s palace is decorated in baroque panels of amber with gold leaf and mirrors. Photo by Larry Koester on Flickr. Ah, amber. It’s one of the most essential notes in perfumery, yet it’s totally imaginary – a fantasy note. Amber is named after the semi-precious natural amber, or fossilized tree sap, because they share the same rich honey-molasses hue. There’s something about the feeling tone of amber: its warmth and richness, that makes many of us go all weak in the knees and grabby-hands. Ancient peoples revered the fossilized sap as a precious gem for its rich luster – and occasionally went baroquely insane with it, as seen above in the reconstruction of the 18th Century Amber Room (yes, constructed of real amber!) at the Catherine Palace of Tsarskoye Selo near Saint Petersburg. Instead, amber is usually constructed around deliciously soft balsamic notes: rum-like and boozy sweet vanilla, leathery labdanum, and occasionally another resin, such as the creamy soft benzoin. The overall effect is rich and comforting, and the foundation of most oriental perfumes and some rich florals to help “fix” the more volatile flower notes. How does it smell? Rich, dark, and sticky sweet – mouth-watering like a piece of dark toffee or caramel, yet not quite edible due to the faint leathery note in the labdanum. 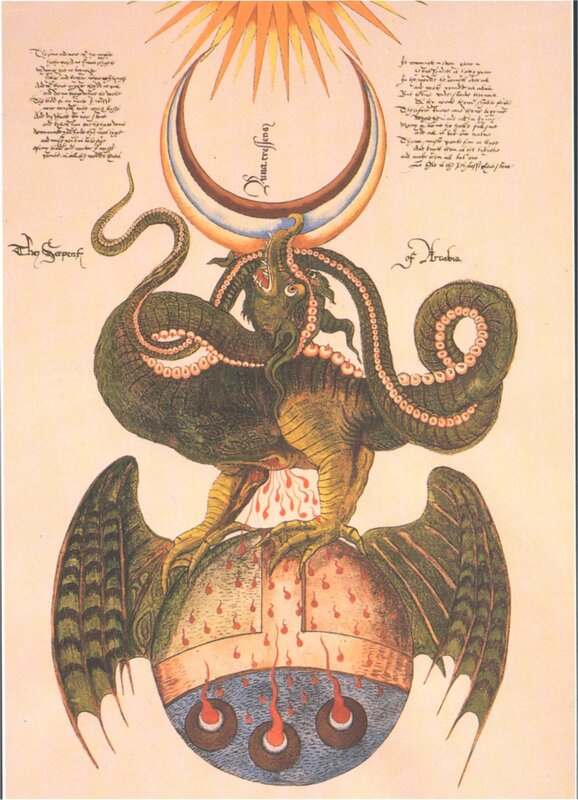 It’s used as a component of the perfume Alchemy in the same book, and I look forward to trying it in other compositions (and variations) too.